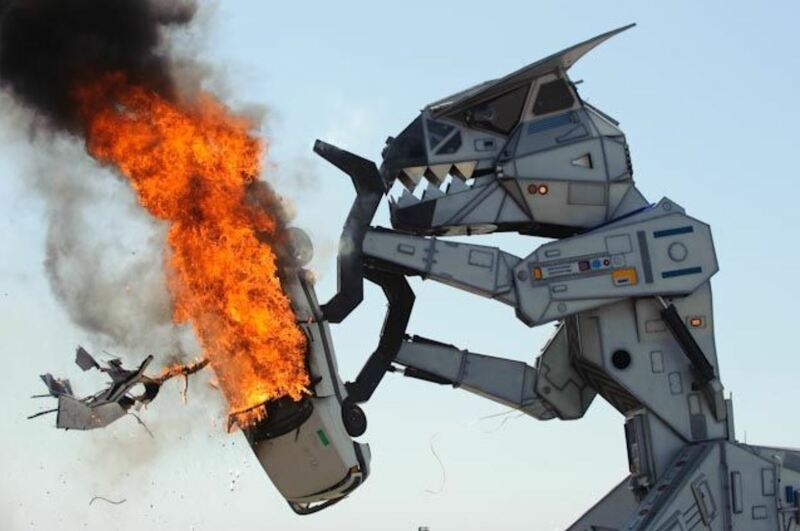 Robosaurus to Return Salinas Airshow in March 2019! Adults and children alike love the ferocious spectacle that is Robosaurus. The 30-ton, fire-breathing, transforming T-Rex that eats cars and planes for an afternoon snack! When not performing, Robosaurus travels the country in disguise as a semi-truck, but when its time to perform, he transforms in a 40-foot metal dinosaur with raw power that dwarfs even his pre-historic ancestors. Robosaurus has been known to shoot 20-foot flames from his flaring nostrils and has a jaw that can crush a staggering 28,000 pounds of pressure per square inch.